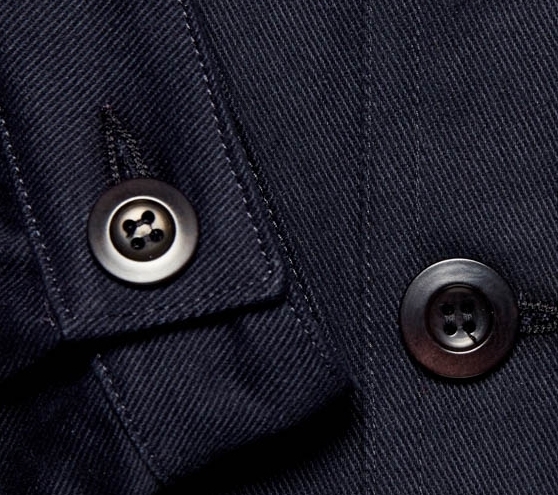 When we were selecting the buttons for our Foreman and Duffie jackets, we opted for buttons made from Corozo, a material made from the nut of the Tagua Palm, which grows in Central America. The nuts are imported to England where, after a number of processes, it provides an elegant and hardwearing fastening for our jackets. We loved the quality and texture of the Corozo buttons, and we also liked the fact that the economic value of the nuts means that maintaining these trees is an commercially viable option, and helps to support the sustainability of the rainforest in this part of the world. Using Corozo buttons also ensures that the antlers and hooves required for the alternative of horn buttons can now stay with their original owners! Can a slim jean be comfortable?